Trust in a Master Pond Contractor, Builder, or Installer. We, here at Picture Perfect Ponds In Western Mass, also serving Northern CT area, will build you the pond of your dreams! Hello my name is Jeff Paquette and my passion is ponds! The origins of Picture Perfect Ponds began in 1998, when a client expressed an interest in a “fish pond”. After much research, and upon completing a pond construction course, we built our first (and still favorite) ecosystem pond later that summer. 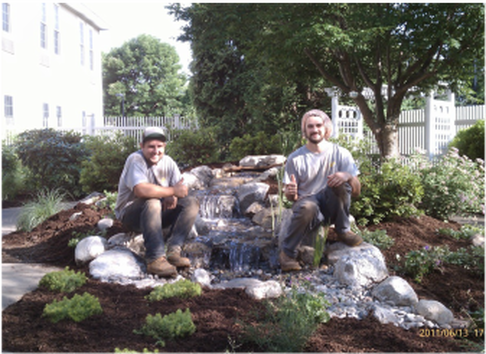 Since then, Picture Perfect Ponds has designed and created nearly 300 water features, including low-maintenance ecosystem ponds, “pondless” waterfalls, and decorative fountains. In fact, nearly all of my effort is devoted to this aspect of the business. Business, however, is the wrong word….simply put, I love building ponds. More accurately, I love having the opportunity to change people’s lifestyles by creating backyard paradises that include “ponds of their dreams”!